Hotmail , Yahoo Mail and Gmail together account for well over 1 billion users. More than 294 billion emails are sent and received daily. Well over 100 trillion emails are sent per year. 3.5 million emails are sent per second. Adults will account for 87% of all US email users in 2013. 90% of the trillions of email messages are spam or viruses. Spam costs businesses over $20 billion in decreased productivity and technology expenses. Retailers send an average of 16 emails per subscriber in “busy” months. Average email campaign volumes increased 20% in 2012 over 2011 levels. 77% of us want to get marketing messages via email; and there’s no close second place. 36% of all emails are opened on a mobile device. In 2011 there were over 400 million people who used smartphones or tablets to access email. 43% of email recipients click the Spam button based on the email “from” name or email address. Email lists with 10% or more unknown users get only 44% of their email delivered by ISPs. 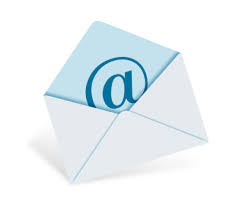 17% of Americans create a new email address every 6 months. 30% of subscribers change email addresses annually. If marketers optimized their emails for image blocking, ROI would increase 9+%. Subscribers below age 25 prefer SMS to email. 80% of social network members have received unsolicited email or invites .